Despite the cancellation of “Free Speech Week,” campus administration estimated that security costs for the rest of the week will reach about $800,000. Before campus conservative student publication the Berkeley Patriot pulled out of the event Saturday, the campus was prepared to spend about $1 million on security for Free Speech Week. Because the cancellation “came in last minute,” according to campus spokesperson Dan Mogulof, the $800,000 in security expenses had already been set up. 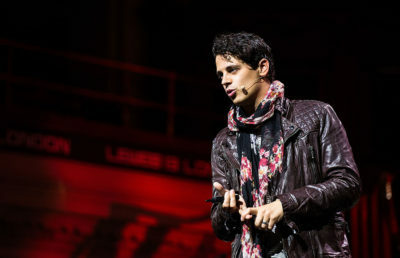 On Sunday, about 50 people assembled on the Mario Savio Steps to listen to Milo Yiannopoulos speak, while about 300 protesters gathered outside the barricades. UCPD put up barricades and metal detectors at the entrances to Sproul Plaza and positioned officers to manage the event. Police were also present Monday during the demonstration at West Crescent Lawn that culminated in a march and a sit-in occupation of Wheeler Hall. “We were successful in maintaining our commitments to keeping the campus community safe and facilitating free speech (Sunday),” said UCPD spokesperson Sgt. Sabrina Reich in an email. 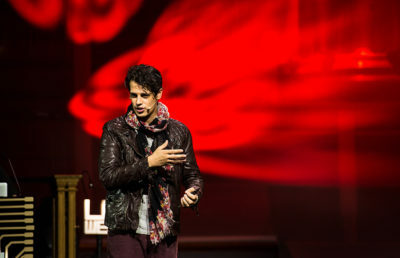 In February, Yiannopoulos’ speech was canceled when violent protests erupted on Sproul Plaza. Later protests in April and an Aug. 27 rally and counterprotest in Downtown Berkeley were also met with violence. Reich and Mogulof both emphasized that there is no way to have a set security protocol for these types of events and demonstrations, as each one is unique. Mogulof added that every event is assessed by law enforcement, who make security recommendations that the campus then implements. “The money is coming from unrestricted donor funds, so it’s not coming from tuition. It’s not coming from state funding; it’s coming from philanthropic sources,” Mogulof said. 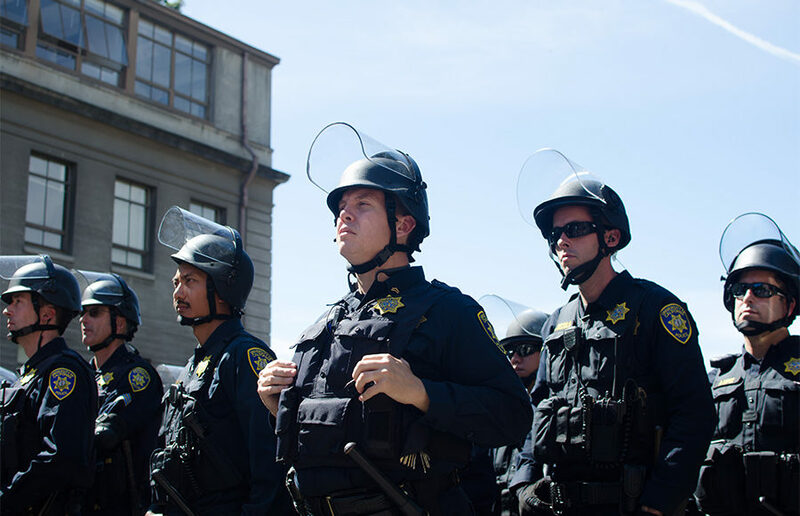 The money is used to fund the boarding, travel and work hours for reinforcements from other law enforcements, including UCPD, Alameda County Sheriff’s Office and Oakland Police Department, as well as other university agencies such as the Stanford University Police. Reich also emphasized the significance of UC Berkeley’s reputation as the home of the Free Speech Movement as a reason for all of the recent political unrest on campus. Contact Gioia von Staden at [email protected] and follow her on Twitter at @GioiaVon.